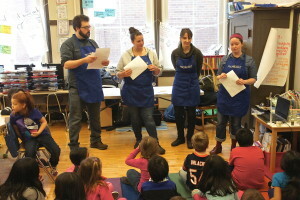 Founded five years ago and headed by a core group of culinary all-stars that includes Paul Kahan, Matthew Merges, Jason Hammel, Justin Large, and Ryan Poli, the nonprofit Pilot Light project is currently working in six Chicago Public Schools to improve food literacy and help children make healthier choices. 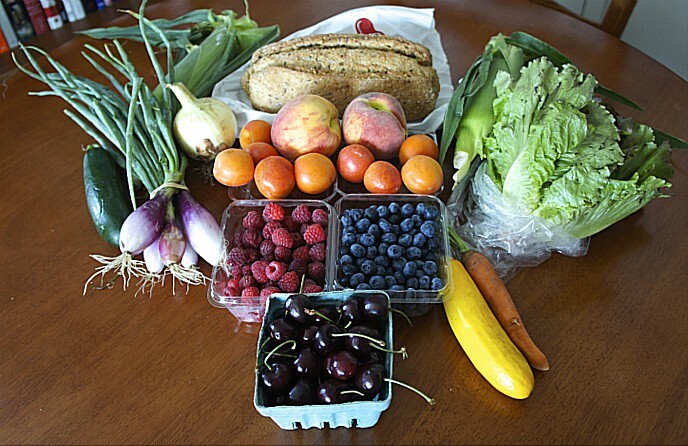 They do so by working with educators to integrate lessons about food and its role in society into the overall curriculum. On a regularly scheduled basis, participating chefs team up to visit these schools and teach age-appropriate lessons to kids at the different grade levels. 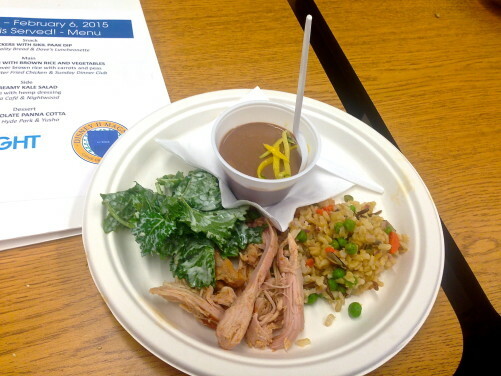 And — now here’s the part that may really make you jealous — they cook and serve what may well be the best school lunches ever for the students and their teachers. While grown-ups are likely to witness Pilot Light in the classroom only if they have a child in one of the partner schools, attendees at FamilyFarmed‘s Good Food Festival on Saturday, March 21 at Chicago’s UIC Forum will be able to enjoy a rare outside glimpse of the program. Chefs Merges (the owner of the Yusho restaurants in Logan Square and Hyde Park, Billy Sunday in Logan Square, and A10 in Hyde Park) and Hammel (Lula Cafe in Logan Square and Nightwood in Pilsen) will conduct a special demonstration of Pilot Light that will run from 10:30-11:30 a.m. This session will kick off the chefs’ segment of the Good Food Festival, which also includes the presentation of FamilyFarmed’s Good Food Chef of the Year award to Paul Fehribach of Big Jones restaurant in the Andersonville neighborhood, and a chef demonstration by Nicole Pederson of Found Kitchen and Social House in suburban Evanston. 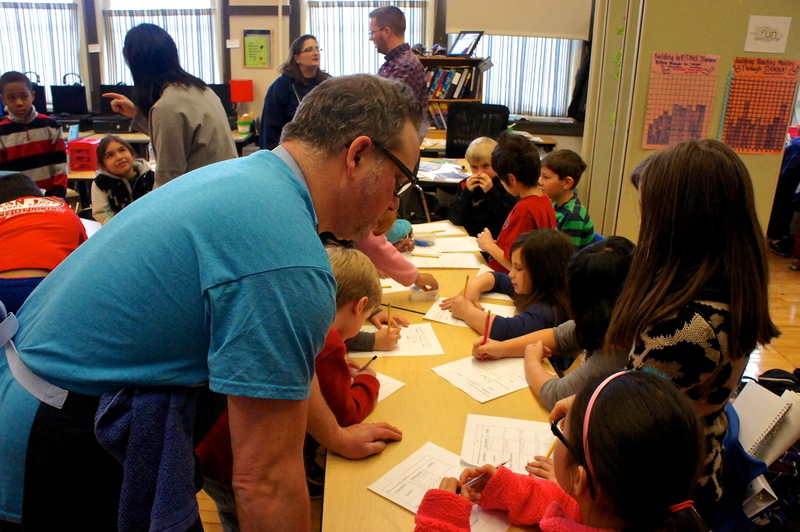 Merges explained the origins of the program during a February Pilot Light session, attended by Good Food on Every Table and other guests, at the Disney II Magnet elementary school in the Old Irving Park neighborhood on Chicago’s North Side. 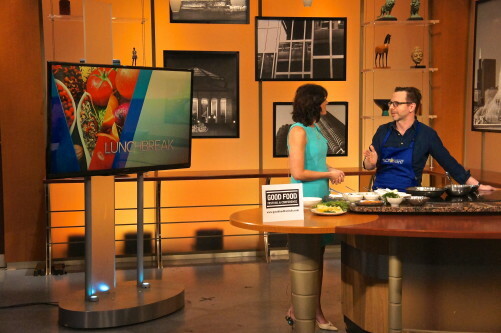 He said the chefs who started the Pilot Light program were inspired by the child nutrition and fitness programs championed by first lady Michelle Obama, but decided they wanted to pursue their own unique direction. A look at the schedule for that day’s program illustrates how it is scaled to the different ages and learning capacities of the students. 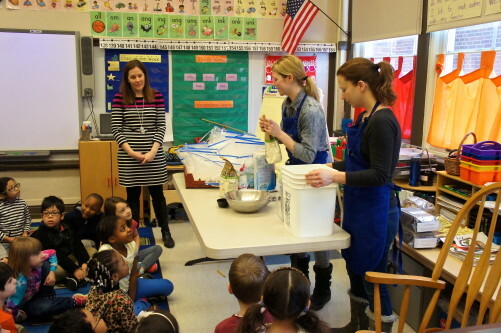 Chefs Sandra Holl (of Floriole Cafe and Bakery) and Rachel Post (of Our House, a new pizza restaurant she is opening, and formerly of Floriole) taught the kindergarteners about “Living and Non-Living Things: The Life Cycle of Yeast,” which ended with the tots giving bread dough a workout. The lessons became more sophisticated as the grade levels progressed. For example, fourth graders received a lesson from Hammel in “Chemical Tests: Learning About Emulsification” that ended with the children attempting to make mayonnaise from raw ingredients. And there is an extra benefit: The kids take their lessons home and influence their parents, according to Kahan, a program co-founder who is the chef-owner of the One Off Hospitality Group, which includes highly regarded Chicago restaurants as Nico Osteria, Blackbird, Avec, Big Star, The Violet Hour, Dove’s Luncheonette, and The Publican, as well as Publican Quality Meats and Publican Quality Bread. And about that lunch? It probably was better than what you ate that day. The kids were served crackers with a spicy Asian dip, smoked chicken with brown rice and vegetables, a creamy kale salad, and a chocolate panna cotta that appeared to be hugely popular. Along with Disney II, the schools currently associated with Pilot Light are Mitchell Elementary in the West Town neighborhood, Anna R. Langford Community Academy in Englewood, Darwin Elementary in Logan Square, Ray Elementary in Hyde Park, and Smyth Elementary in Near West. Along with the demonstration by chefs Merges and Hammel, Pilot Light will be represented at the Good Food Festival by executive director Alexandra DeSorbo-Quinn, who will participate on a panel on The Future of Food that will be moderated by Monica Eng of WBEZ and will begin at 11:30 a.m. on March 21. To learn more about Pilot Light, please visit their website. 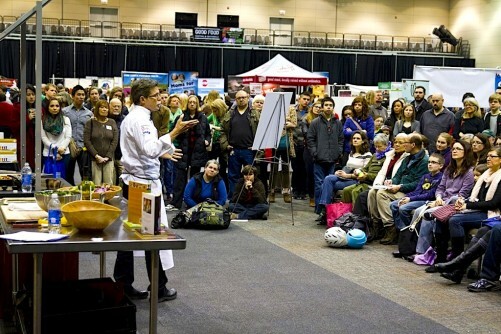 And to learn more about the Good Food Festival and the overall Good Food Festival & Conference March 19-21 at UIC Forum on the University of Illinois at Chicago campus, visit the event website. This entry was posted in Child nutrition and health, Farm to school movement, Food and health, Food education, Food literacy, Good Food Festivals, Healthy eating for children, School food, Sustainable food education and tagged A10, Billy Sunday, Chef Jason Hammel, child nutrition and health, FamilyFarmed, Floriole Cafe and Bakery, Food education, food literacy, Good Food Festival, Good Food Festival & Conference, Honey Butter Fried Chicken, Lula Cafe, Matthias Merges, Nightwood, One Off Hospitality, Paul Kahan, Pilot Light, Pilot Light Chefs, school food, Yusho. Bookmark the permalink.